Chelsea are desperate to sign Napoli centre-back Kalidou Koulibaly and planning to make a bid during the summer transfer window. London club need a new top-class defender to improve the back-line, and Senegal international is the best choice in this situation. He has an impressive season and proves his worth one more time. Maurizio ready to spend big money on the footballer in July when the transfer window opens again. Man United, Liverpool and Real Madrid are also keen to sign him, and there will be a battle for the player. Kalidou is a regular member of the Les Lions de la Téranga squad and also played in the 2018 World Cup which is already a significant achievement for the footballer. He helped Italian club to reach the Europa League quarter-final, and they lost first match against Arsenal 2-0. 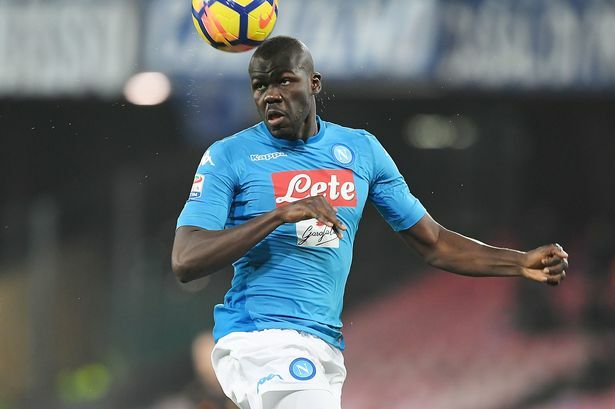 Koulibaly has contracted with Napoli until 2023, and his release clause is nearly €70m. His price could increase and become much more during this campaign. The 27-year-old defender joined the Little Donkeys from Genk in 2014 with an €8m deal. He is one of the best centre-backs in Serie A and unchanged figure for the club. In this season, Senegalese defender already played 42 matches, scored two goals and made two assists in all competition. It is an excellent result, and he can improve his consequences with high-class partners. London club will do everything to add him this summer as Gary Cahill already 33-year-old, Andreas Christensen linked with several clubs, and they need back-up. Blues also tied with Ajax centre-back Matthijs de Ligt and Inter Milan defender Milan Skriniar.